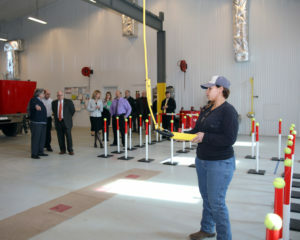 The Governor presented a tribute to honor the 50th anniversary of the Training School. Governor Larry Hogan, Secretary of Labor Kelly Schultz, Retired Business Manager Joe Shanahan and Business Manager Bob Holsey. The Governor presented a Citation to Joe Shanahan in recognition of his years of service. 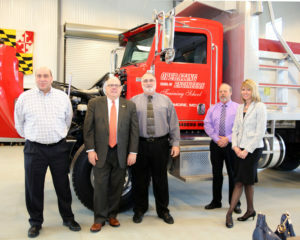 Governor Hogan, Secretary of Labor Kelly Schulz, Retired Business Manager Joe Shanahan and Business Manager Bob Holsey. 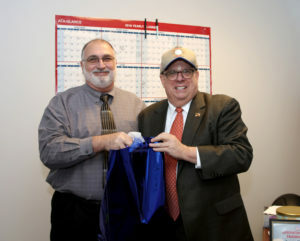 Business Manager Holsey presented Governor Hogan with Local 37 swag. 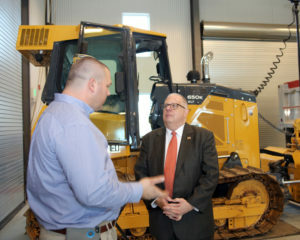 Governor Hogan trying his hand at the Excavator Simulator.